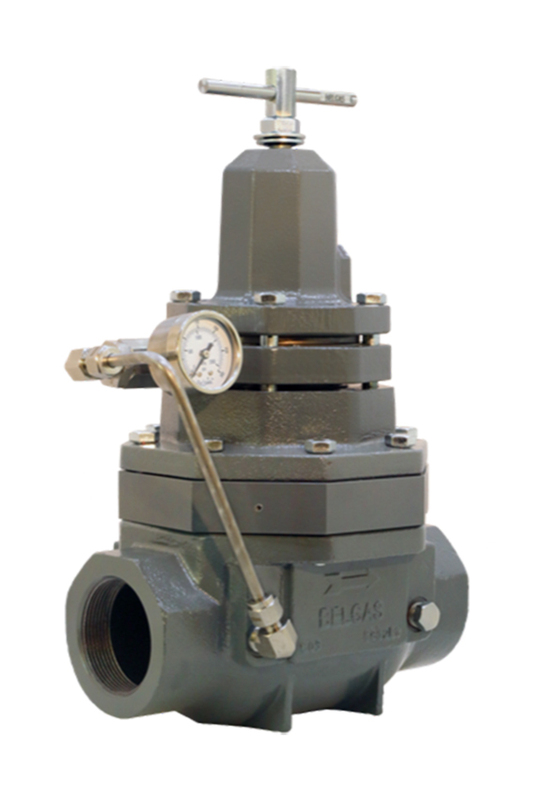 The Marsh Bellofram Group of Companies today annouced details of its BelGAS CP P5300 Series back pressure regulator. This regulator has become the standard for the oil and gas industry. Built in accordance with the requirements of NACE-MRO175, the P5300 Series is known for its intermittent acting pilot, soft-seat material for bubble-tight shut-off, 300 psi max pressure, and cost effectiveness. Service technicians especially value its 100% interchangeability with components from other manufacturers, including using the same repair kit. With an integrally mounted pilot, upstream gas is used to operate the unit—except where liquid or very low gas pressure is present. Supply pressure is fed to the pilot via tubing attached to the body. The supply pressure goes through the filter assembly to remove any particulates that could clog the pilot plug assembly. When supply pressure is below the set point, the pilot spring keeps the plug in the closed position, putting the loading pressure on top of the main diaphragm and closing the main orifice. When supply pressure goes above the set point, the diaphragm assembly lifts. The larger side of the pilot plug closes, and the smaller side opens. This vents the loading pressure and opens the main seat. The regulators will only vent when moving the main seat. You’ll find P5300 on separators, heater treaters, and gas gathering systems. They are subjected to the most rigorous testing in the industry.